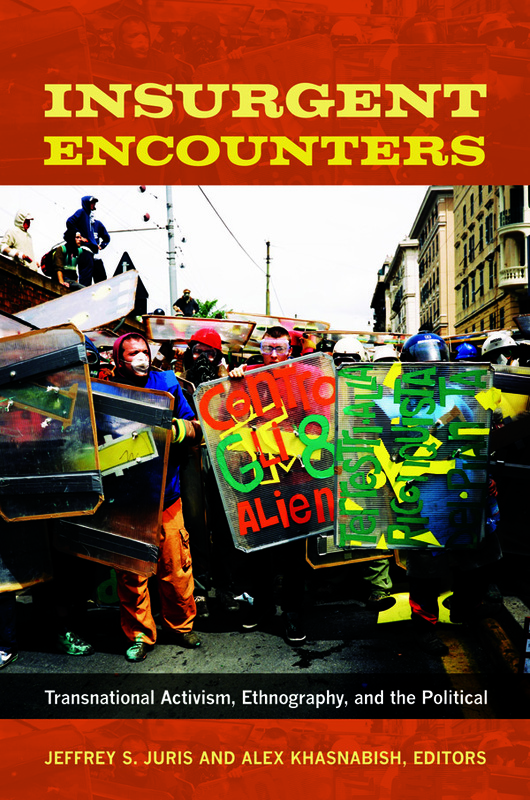 I’m very excited to announce that Insurgent Encounters, a volume I’ve co-edited with Jeffrey Juris, about transnational activism, ethnography, and radical politics is due to be released by Duke University Press in April 2013. This volume contains contributions by Giuseppe Caruso, Maribel Casas-Cortés, Janet Conway, Stéphane Couture, Vinci Daro, Manisha Desai, Sylvia Escárcega, David Hess, Jeffrey S. Juris, Alex Khasnabish, Lorenzo Mosca, Michal Osterweil, Geoffrey Pleyers, Dana E. Powell, Paul Routledge, M. K. Sterpka, and Tish Stringer. For more information about the book and how to order it, please check out Duke University Press’s on-line catalogue.